The conventional “wisdom,” if you can call it that, from the ESPN pundits is that Auburn so thoroughly dominated Georgia the first time around, that there isn’t much Georgia can do if they play again. If you watched the game, and I did, that is certainly the way it looked. Auburn’s defensive line dominated, their offensive line won the battle, Auburn moved the ball, Georgia didn’t, and they led the game 40-10 before a meaningless late touchdown. So… case closed right? First things first, only 2 times in 7 rematches has the result changed, in that the loser of the regular season matchup won the postseason game. Those occurred in 2001 and 2011. However, perhaps the biggest takeaway is that 6 times out of 7, the game changed significantly. Only in 2000 was the result basically the same – that being a comfortable win for Florida both times. The other 6 games all went from a close game to a blowout, or vice versa. The average difference in score is over 19 points. Maybe the first game is not a very strong predictor of the second game? Well, hold on you say. This is only 7 games. And you’d be right, it is a small sample size, but you work with the data you’ve got. Here, I can also add this list of bowl games that have been regular season rematches. Going back to the same starting point (1992, beginning of the SEC title game), there have been 14 such games, and only 4 of these 14 bowl games were won by the team that won the regular season game (excluding the 1995 Sugar Bowl, the “Fifth Quarter in the French Quarter,” because the two teams tied the regular season game). The “why” is just speculation. We don’t have any data that goes to the cause. However, I can guess as to some reasons. First of all, I’d simply say that the logic is wrong in the first place. Most fans seem to think that a football game is good evidence of something. It shows you who the better team is. I’d argue that’s wrong. Maybe a team’s 12 or 13 game record is good evidence (maybe it’s only so-so evidence). But I’d argue that one game isn’t good evidence of anything. Too many variables, too much luck. In other words, the first game might be a poor predictor of the second game because the first game has a significant luck factor, and so does the second game. Other possible explanations for this phenomenon are psychological. The players and coaches from the winning team feel like all they have to do is not make any mistakes, and they’ll win again the same way they won the first time. They may have a hard time getting up for the game. The coaches may feel pressure not to change their scheme. After all, it worked the first time. Meanwhile, the second team is adjusting. Its players are angry, and out to prove the first game was a fluke. The opposite can also happen. Consider 2010 – Auburn may not have thought it was a great team during the first matchup, early in the year, when they beat South Carolina by 8. But after finishing the year unbeaten, Auburn was in a different mental state, and out to prove they actually were much better than a 3 loss South Carolina team. Those are my two best guesses, but there are other conceivable explanations. However, the facts are what they are. And the facts suggest that if Auburn and Georgia play in the SEC Championship game, Auburn may not be as big of a sure thing as the media thinks. In fact, Auburn did get a number of apparently lucky breaks the first time around (fumbled punt, the “leaping” personal foul) which resulted in extra possessions. For whatever its worth, the computers mostly think Auburn would be favored by about a field goal and would have perhaps a 55-60% chance to win. That doesn’t sound very much like the first game. Based on the above, that probably means its exactly right. Perhaps UGA fans should be cheering for Auburn to win this weekend, so they get a rematch, rather than playing Alabama for the first time. As promised, we were in Athens last Saturday for Vanderbilt-Georgia, a game in which the homecoming Dawgs were favored by more than two touchdowns. Instead, the Commodores eked out a one-point victory on the road. Although it probably wasn’t too exciting on television, this was an entertainingly tense game to attend in person. The Vanderbilt defense is excellent against the run, which happens to be Georgia’s offensive strength, but they were helpless against the pass. UGA should’ve called nothing but pass plays until VU forced them to do something else. This was Vandy head coach Derek Mason’s first conference win, which is nice, but it probably should have come sooner. Like, maybe the week before in Lexington? Neither Georgia nor Vanderbilt are making much football sense in 2016. We will be in Sanford Stadium tomorrow when Vanderbilt, based in Nashville (i.e., the Athens of the South), faces Georgia, based in Athens, in a game that will decide which city will retain its Southern Athenian identity and, maybe, third place in the SEC East. Thus far, this season has been a disappointment for both schools, but tomorrow’s game should at least allow fans a nice look at each team’s stars. For Georgia, that means the return of the combined running attack of Nick Chubb and Sony Michele. For Vanderbilt, it means the return of the SEC rushing leader, Ralph Webb, who, I am told, will play tomorrow after suffering an injury during last week’s loss at Kentucky. The star power of Webb distracts from the Black & Gold’s numerous deficiencies and, in some sense, Webb reminds me of Earl Bennett, a Vandy wide receiver who, ten years ago, became the SEC all-time reception leader. Following the exciting and brief James Franklin era, the Commodores have regressed under Derek Mason to a team reminiscent of those overseen by Bobby Johnson: above-average defense that worked hard to keep the team in games while the offense, with its lone leader (then Bennett, now Webb) tried to keep pace on the scoreboard until the overworked defense eventually gave out and the opposing team ran away with the game. Mason and his assistants have better resumes than Johnson and his assistants did, but the results have been the same. During the last ten years, though, Vanderbilt has played Georgia close and even stolen a few wins. Those have tended to come in home games for the Commodores, though; the Dawgs typically have routed them in Athens. Vanderbilt nevertheless goes on the road tomorrow in search of its first conference win of 2016. Kickoff is at noon on SEC Network, and we’ll be there. Follow along here for live updates. 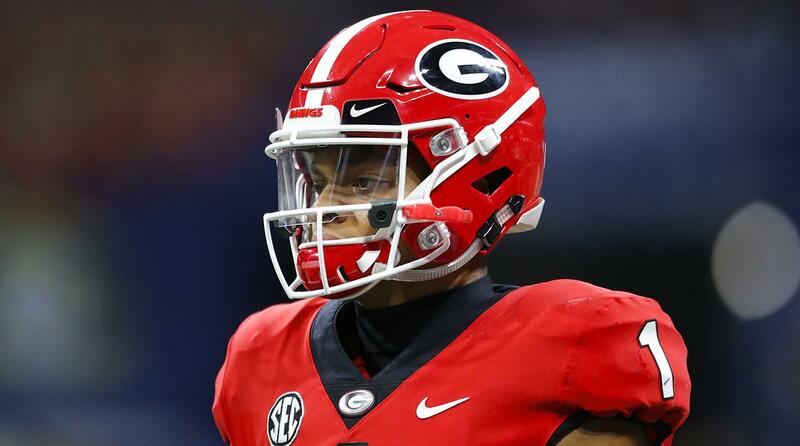 After entering yet another season with high hopes, the Georgia Bulldogs have limped to a 5-3 start, with all three losses coming against SEC opponents. Like last year, they lost their star running back to serious injury and Florida embarrassed them in Jacksonville. Matching last year’s 10-3 record will require the Dawgs to win out– they’ve already equaled 2014’s loss total. With remaining games against Kentucky, Auburn, Georgia Southern, and Georgia Tech, as well as a presumptive bowl opponent, that’s not an impossible task, but without Nick Chubb or any coherence at quarterback, it is far from guaranteed, especially without a bailout defense. In terms of end-of-season incentives, that bowl-game appearance is all the team has to play for, though, the Florida loss having eliminated UGA from contention for the SEC championship. Before the season started, Georgia’s representation of the SEC East in that game was a foregone conclusion. A panel of the Georgia Court of Appeals on Tuesday tested the Atlanta Braves’ argument that the team should be insulated from suits by fans hit by flying bats or balls. The Braves’ lawyer, former state Supreme Court Chief Justice Leah Ward Sears, said the appeals court should adopt the so-called “baseball rule,” which says teams are immune if they provide enough seats behind home plate shielded by a net to meet demand. Hearing the case with two colleagues, Judge Michael Boggs wondered why the baseball industry should get its own rule. “The concern being, of course, if you carve out a rule for baseball, if we adopt the baseball rule, next week we’ll be adopting the hockey rule, and the week after that we’ll be adopting another rule,” he said. The case was filed against the Braves by a parent of a 6-year-old girl who was hit by a foul ball while attending a game at Turner Field in 2010. A Fulton County judge has refused to dismiss the case. Backed by the commissioner of Major League Baseball, the Braves say the baseball rule is used in the majority of states that have adopted a rule around errant balls and bats at baseball venues. Dawg Upset: Vanderbilt defeats Georgia in Nashville, 31-27. ALDLAND was out in force last weekend for a cool, damp morning (11:00 am kickoff!) of football in Nashville. Brendan and Marcus broke down the game, as well as Vanderbilt’s bowl chances, in this week’s podcast, so listen to that for full game analysis. The Commodores took the lead in the second quarter on a perfectly executed fake field goal attempt. Two almost certainly erroneous targeting calls against Georgia helped Vanderbilt as well, but Vandy’s surprisingly poised redshirt freshman backup quarterback, Patton Robinette, who came on in relief of injured starter Austyn Carta-Samuels, deserves mention as well. (A botched Georgia punt was reminiscent of the last time these schools met in Nashville. This time, though, the Commodores were able to capitalize on the special-teams error.) Despite reasonably ample scoring, the game developed slowly through the first three quarters before the home team posted seventeen points in an exciting fourth quarter, erasing a thirteen-point deficit to claim an upset victory. It was Vanderbilt’s first conference win of the year (after a heartbreaking loss to Ole Miss to start the season), and both teams moved to 4-3 overall. While Vanderbilt head coach James Franklin said that either Carta-Samuels or Robinette would be available for this weekend’s game at Texas A&M, he said yesterday that Robinette would start the game and that Carta-Samuels would not be available this week.